Synergy Consulting Group can help you reach your objectives faster! Visit this page from time to time to see how we're helping clients attract new customers, increase cash, & build wealth! eROI's "Why? eBook" is publihsed as part ot The Why Project. Synergy's Managing Partner selected to contribute as well as write the forward. 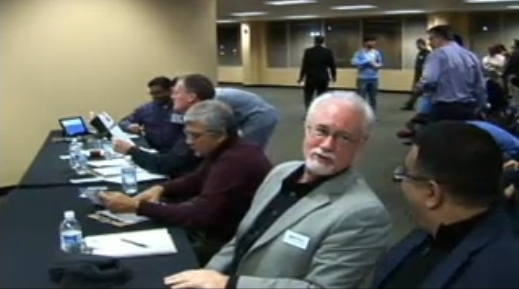 Consultants form the Business Growth Group to help companies outperform themselves. Synergy signs new client: DiGen Environmental Recovery Systems. 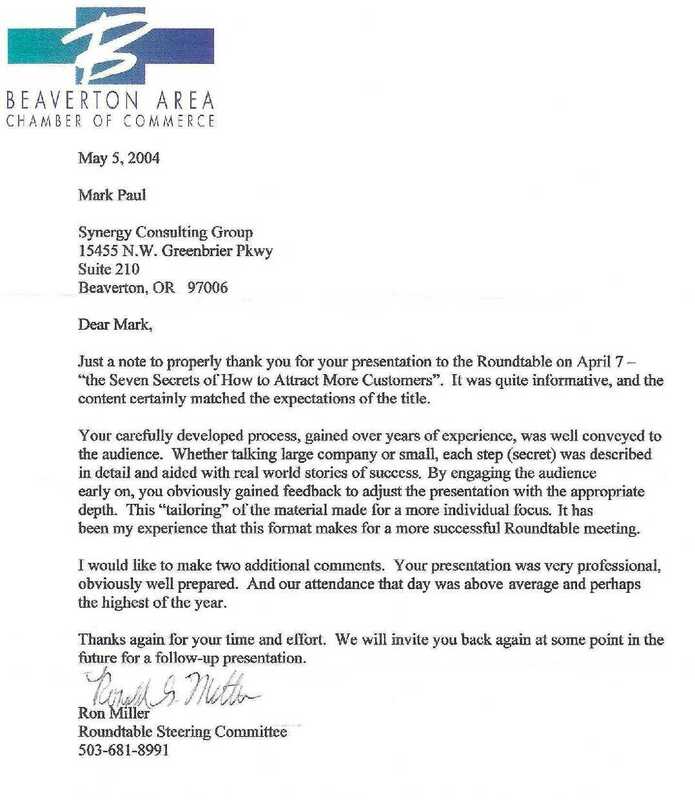 Presentation - How to Attract More Customers... in good times and bad. 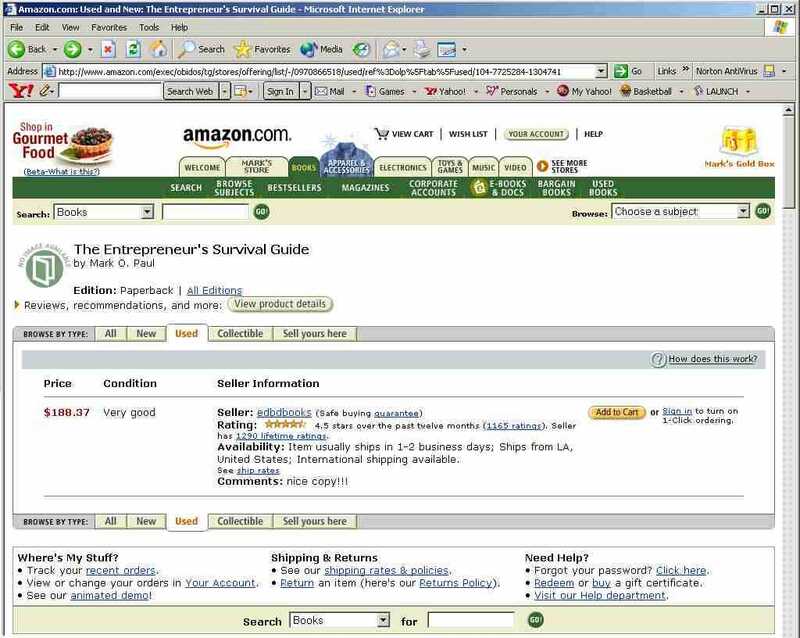 University of Oregon's Lundquist Center for Entrepreneurship uses The Entrepreneur's Survival Guide as text for their New Venture Planning (Graduate Course - 625) as part of their Technology Entrepreneurship Program. Synergy's Managing Partner publishes 3rd book: The 21st Century Energy Initiative. Synergy's Managing Partner publishes 2nd book: "How to Attract Significantly More Customers... in good times & bad". OTBC uses The Entrepreneur's Survival Guide as text for their Fast Trac entrepreneur's series. Presentations on How to Value-price Your Products & Services: Well-received - at OEN & OTBC. 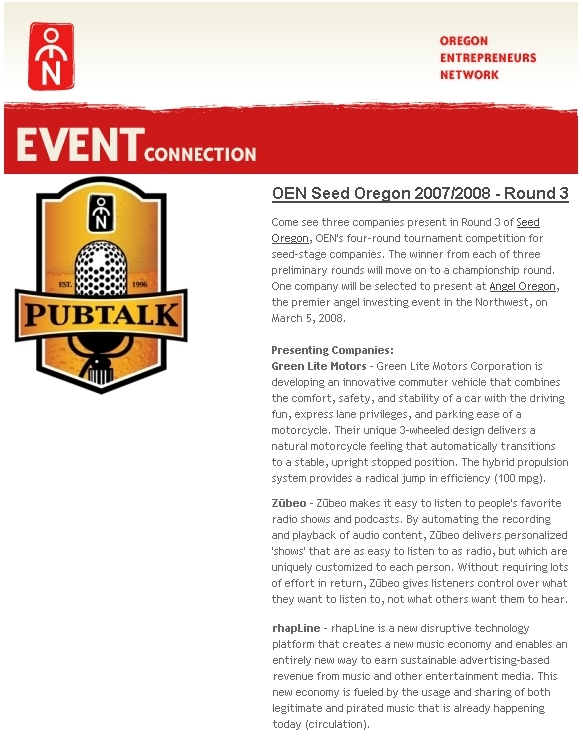 Two companies helped by Synergy selected to present at OEN's SEED Oregon (GreenLiteMotors & Zubeo). OTBC selects Synergy partner as "Entrepreneur-in-Residence". OregonStartup.com provides The Entrepreneur's Survival Guide to its members. Synergy partner's presentation "Seven Secrets: How to Attract More Customers" at the Small Business Development Center a hit! Synergy signs new client: ieSolutions, Inc.
Synergy signs new client: Northwest Business Support Services. New client: News Technologies, LLC. New client: Scappoose Executive Hangars. 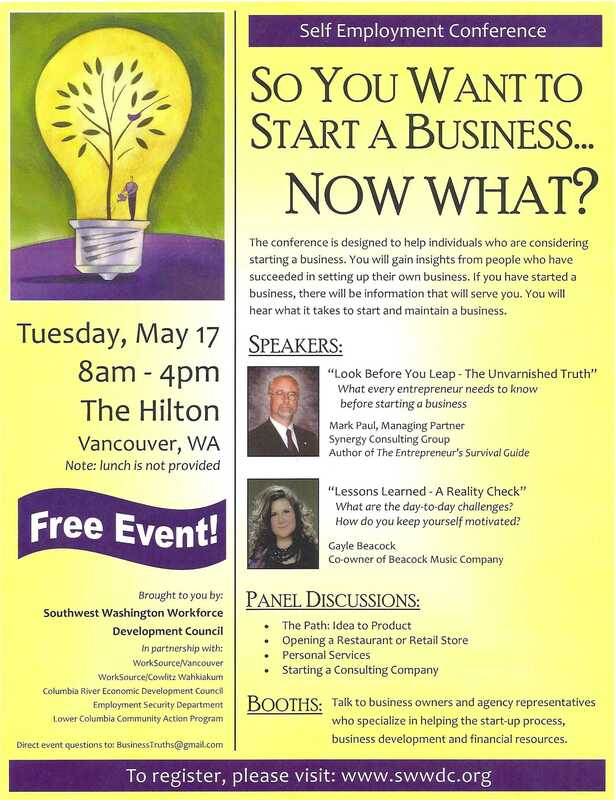 Synergy's "mini-seminar" - "Seven Secrets: How to Attract More Customers" is a hit at the Hillsboro Chamber of Commerce. OSU's Food Innovation Center to offer "Food Business 101," using The Entrepreneur's Survival Guide as their text. 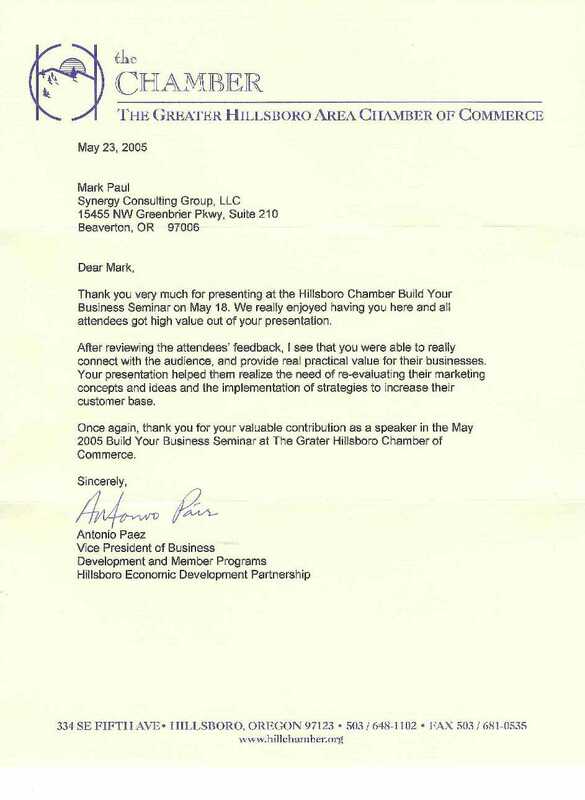 Synergy's presentation - "Seven Secrets: How to Attract More Customers" is well received at the Beaverton Chamber of Commerce. Oregon State University selects The Entrepreneur's Survival Guide as text for their "Entrepreneurial Skills" module. Corvallis SAO invites Synergy Partner to speak on entrepreneurship. MSN / Newsweek refers to Synergy's interim executive efforts. SoftwareCEO.com selects Synergy Partner to moderate their "Strategy & Leadership" discussion forum. AMA hosts "Generate Demand While Building Your Brand." 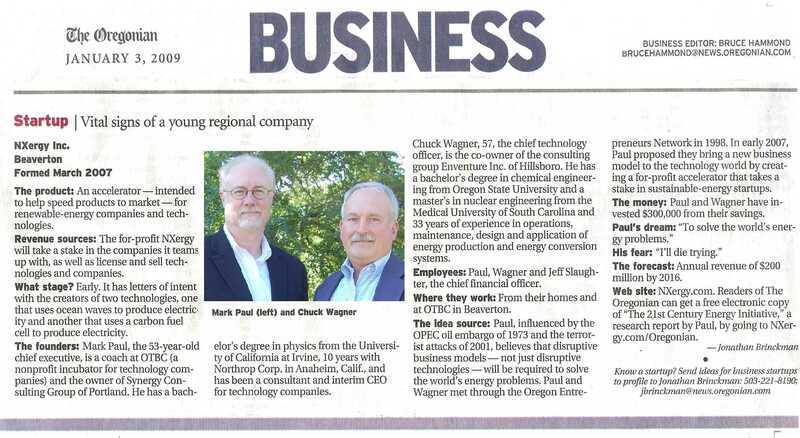 OHSU/OGI selects Synergy partner as keynote speaker for their just-launched"Center for Technology Entrepreneurship." Synergy partner publishes second edition to The Entrepreneur's Survival Guide. The "Buck-a-Book Challenge" established to help the economy and public schools! "Very good" condition 1st edition book, "Entrepreneur's Survival Guide" selling for nearly $200! 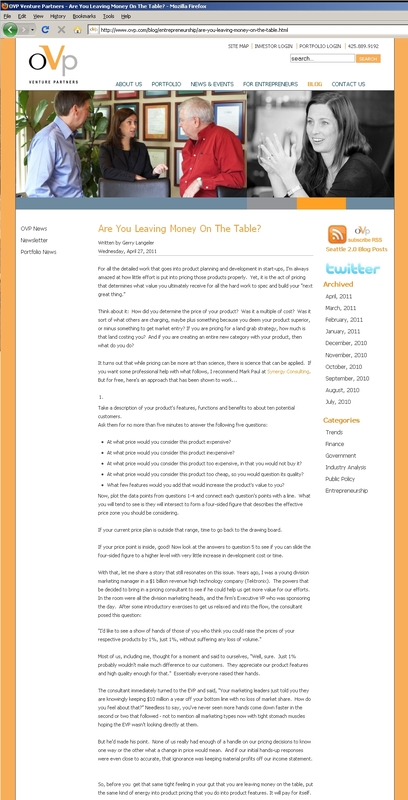 Decisioneering, Inc. promotes The Entrepreneur's Survival Guide, to reduce entrepreneurial risk. EasyStreet's "IdeaExchange" offers Synergy partner's advice on how to integrate web strategies - to boost your revenue and profitability. Synergy offers new products to help clients improve their performance. 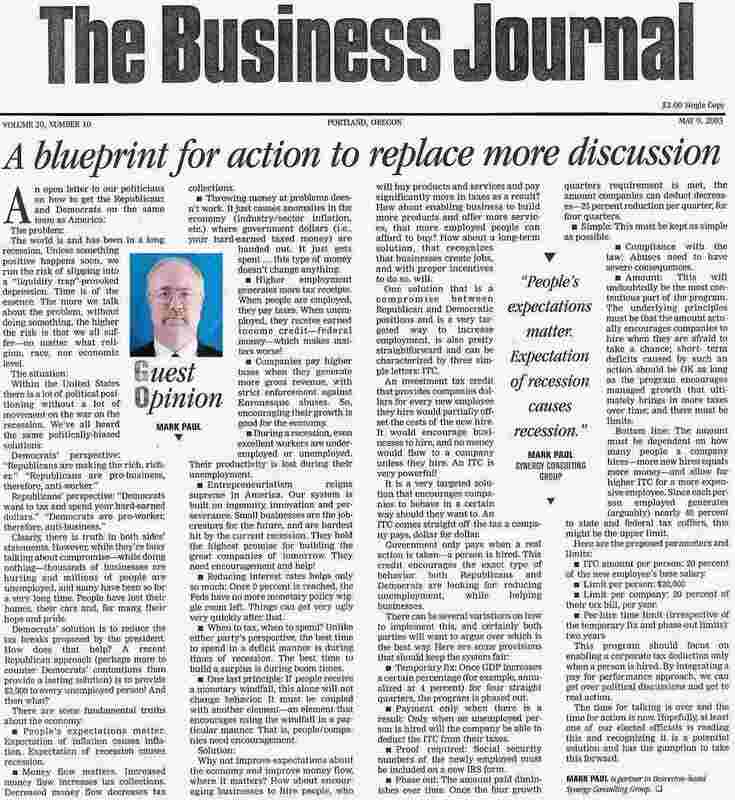 Synergy partner publishes idea to help the economy! Synergy helps hydrogen production / renewable energy company HydroEnvironmental Resources, Inc.
OEF "University of the Entrepreneur" selects Synergy Partner as subject expert. CEO Refresher cites interactive nature of new book. Partner completes GM role @ Lamb Industries. Synergy partner on the KBNP radio. How to Write a Business Plan to Raise Money. What does the future hold? Read the Times! 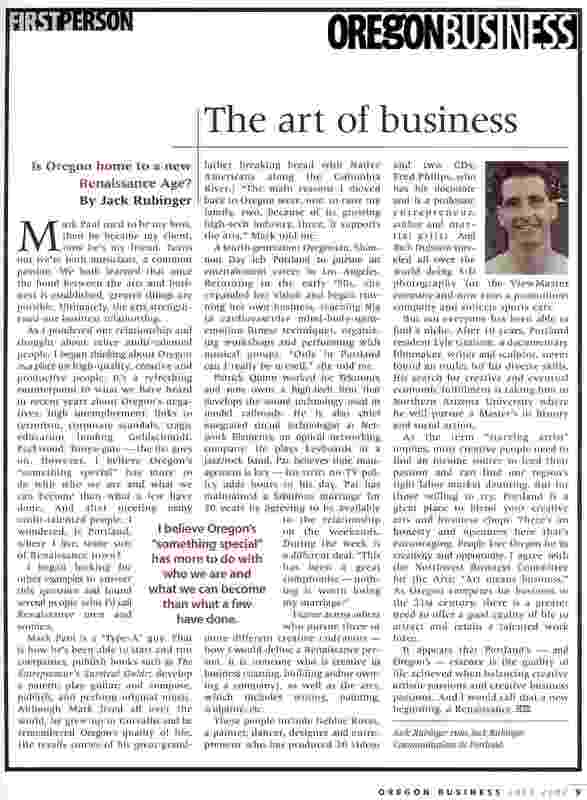 Valley Times: How Synergy fixes businesses. 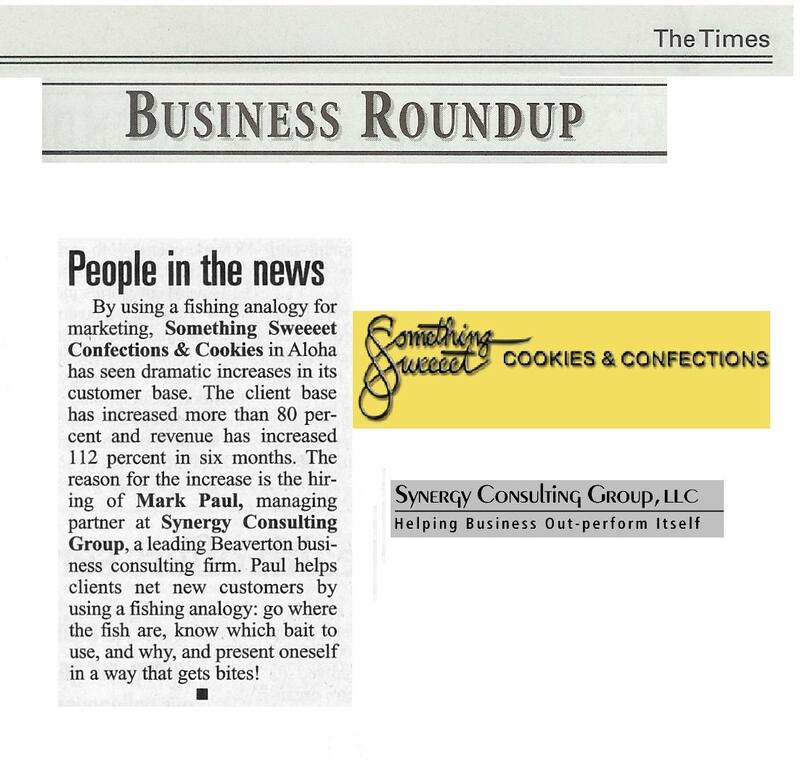 Daily Journal of Commerce: How Synergy helps companies get to the next level. 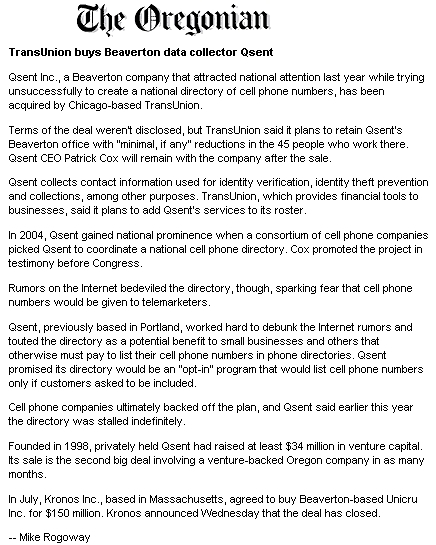 The Business Journal: How Synergy helps its clients. "This approach is paying big dividends." "You have accomplished more in 12 months than any of your predecessors have during the past 10 years." 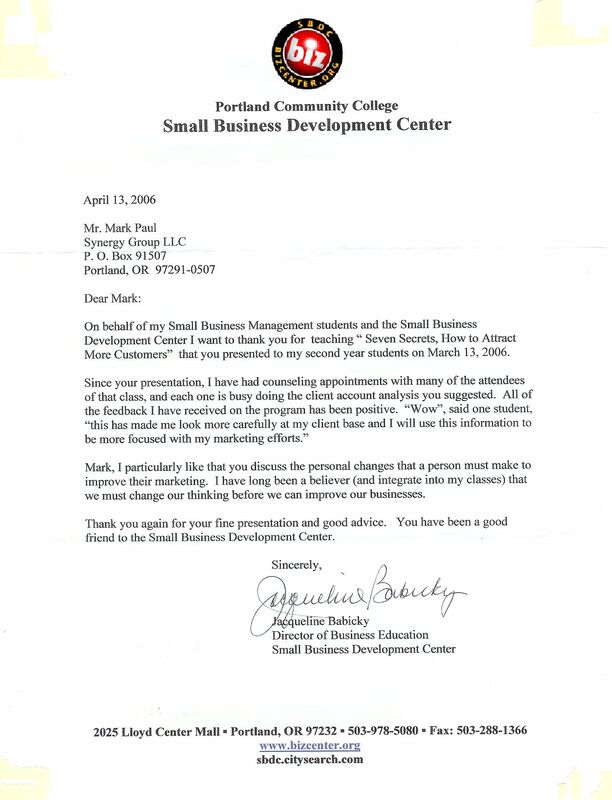 "I would highly recommend your services to anyone with a need to start or grow a business." "It's harder to solve one's own problems than those of other people. ...your advice is especially valuable. "Our discussions made the difference between months of floundering, and being pointed in the right direction from day one."